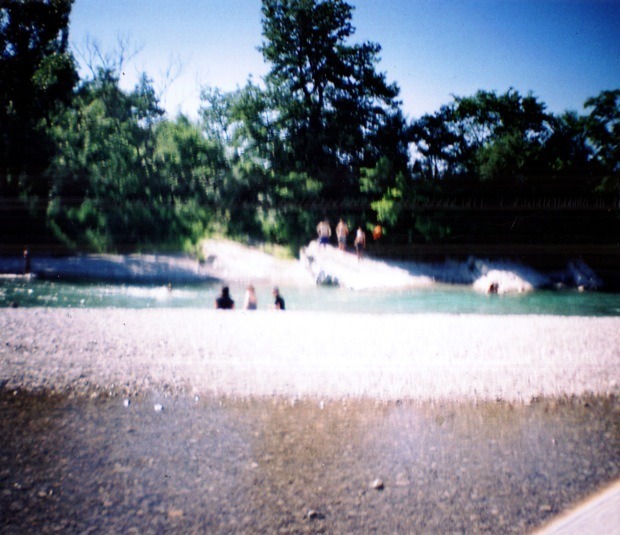 "Taken last month by a friend in the south of France, during a summer-river-day near the moutains. I'm still in love with this place where I come from." Atelier Ciseaux: This is Paris. Well, sort of. A small location called Romans in the South-East of France. And also Bordeaux. Oh, and Montreal. Argh, Montreal, we miss you already. Atelier Ciseaux: This is François Virot, Lucky Dragons, Best Coast, Jeans Wilder, Andy Roche, U.S. Girls and Terror Bird. And, soon, Mathemagic, Young Prisms, C V L T S, Coasting and Reading Rainbow. Atelier Ciseaux: This is some kind of singing music. The kind you can never really sing. The one that can fascinate the waves. Ghosts. Earthquakes. Vinyls. Screenprints, but not always. A DVD. And soon cassette tapes. We put out our first release, François Virot's debut album, in late 2008, but I can hardly remember the exact moment I first considered starting a record label. Maybe 1994? No, no, wait, in 2005! Or perhaps in 1997. I don't know, I don't know anymore. I was probably already thinking about it when I was 17. With Pavement in mind! Hah! I've been doing stuff related to music for quite a while now and it was all like a long “brainstorming” in preparation for the label; knowing concretely how you want to get things done and–more importantly–how you absolutely don't want to. Atelier Ciseaux is also a website that will always be in progress. And also a Myspace page.